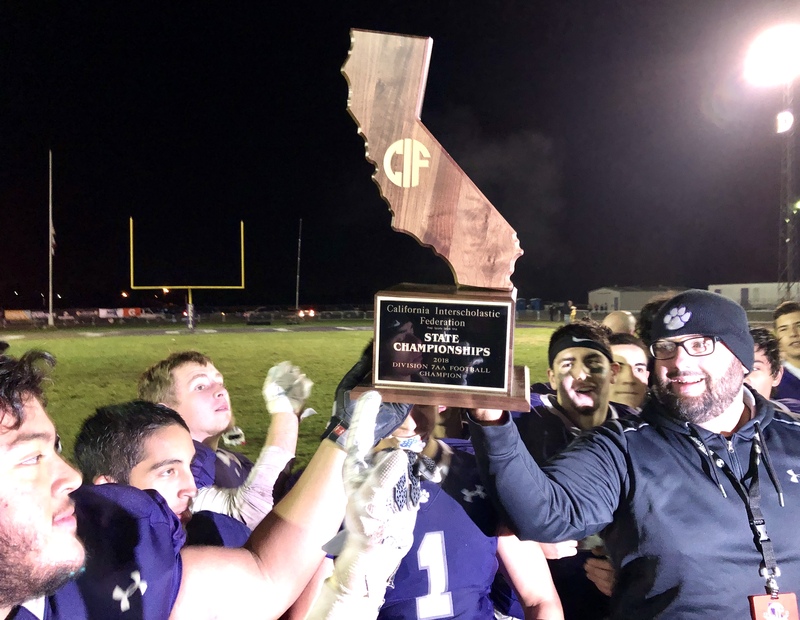 The Denair High football program captured the CIF State Division VII-AA championship on Saturday, Dec. 1, 2018. 'We weren't going to lose.' How Denair went from 12 players to state champs. DENAIR — Drew Pritchard burst through the line of scrimmage, building speed as he covered nearly half of Lytton Stadium in a flash. And when his touchdown run was complete, the Denair running back turned and sprinted down the home sideline into the arms of a coach. The best moment of his young life? 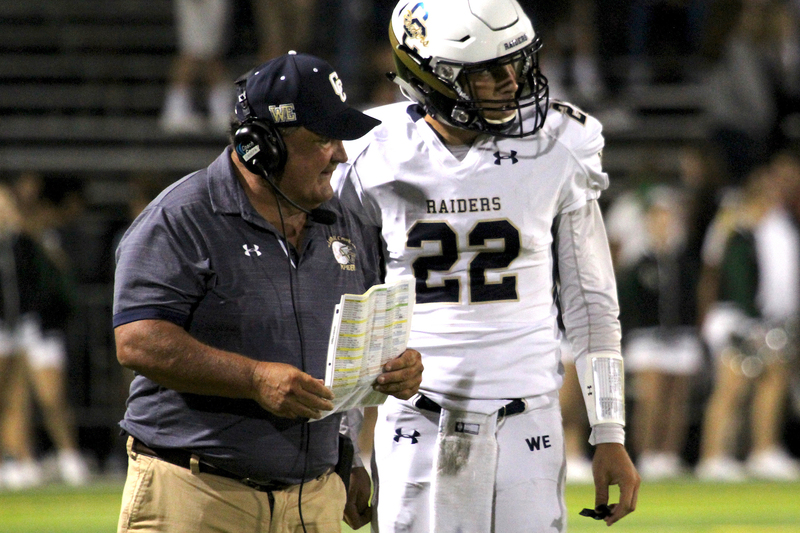 Believe it or not, it wasn’t either one of his long scoring runs in a historic 42-14 victory over Santee of Los Angeles in the CIF State Division VII-AA Bowl on Saturday evening. It was the final walk. One by one, the senior Coyotes gathered under the goal post following the game, finishing their high school careers with one pass through a human tunnel. 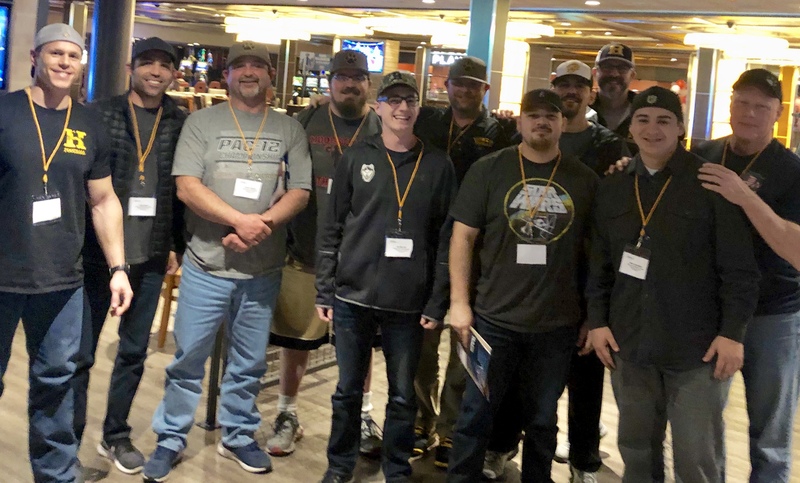 At the end, head coach Anthony Armas, with a smile encased by a thick winter beard, pulled each of his players in close … so close his whiskers muffled the words whispered in their ears. Pritchard came through the chute first, followed closely by Hunter Musgrave and Steffin Winston, the catalysts in the Coyotes’ vaunted Wing-T offensive attack. 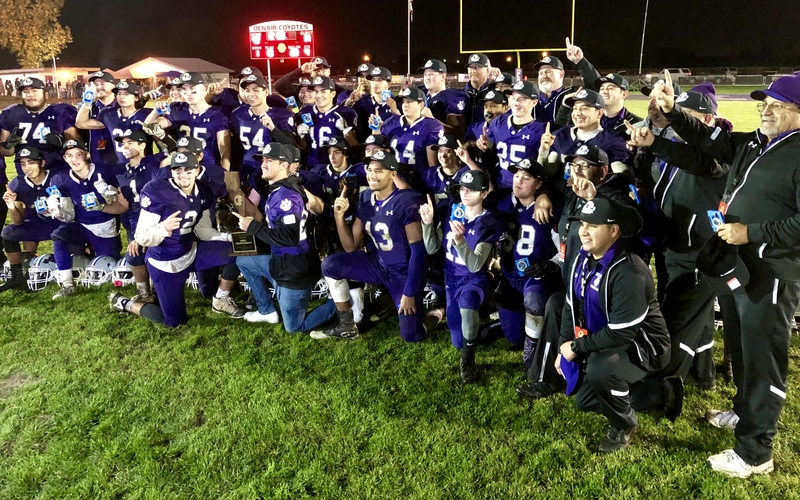 Musgrave and Winston rushed for more than 1,000 yards as Denair placed second in the Southern League and then caught fire in the postseason, hanging its first Sac-Joaquin Section banner with a 43-21 victory over Golden Sierra in last week's Division VII final. “I’m really happy for the kids. 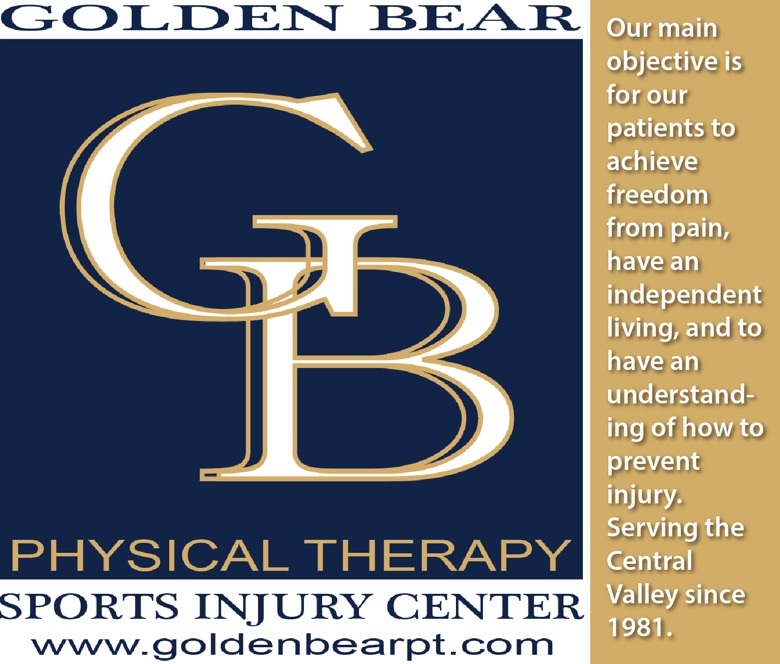 It’s like I said earlier in the week — we were trying to put them in the right positions to do what they do, because it’s really all about them,” said Armas, whose success this season is juxtaposed with the struggles of 2016, when the Coyotes made national headlines for other reasons. That season, Denair played with as few as 12 players. 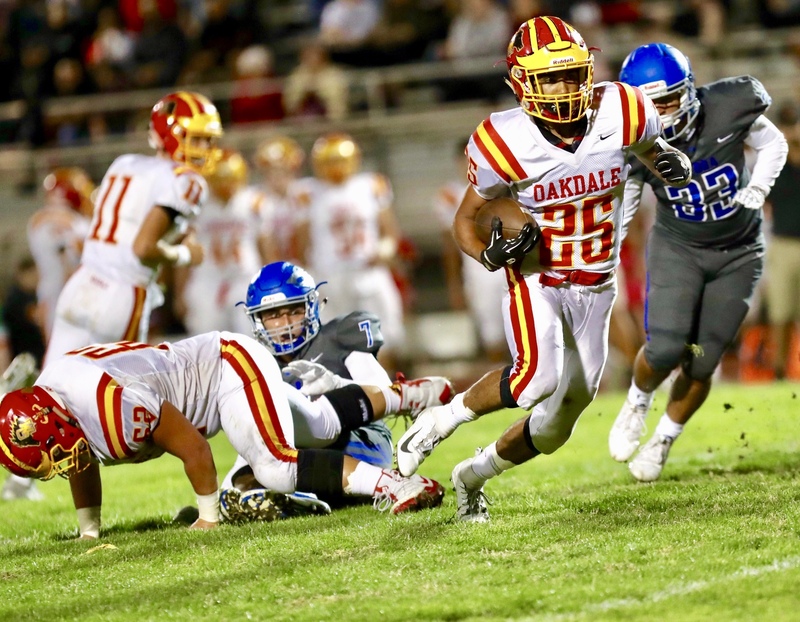 On Saturday, the Coyotes, unfazed by the rain or the stakes or their shaky past, joined an elite circle of local state champions, a fraternity that includes Central Catholic, a four-time champion; the Trans-Valley League's Modesto Christian and Escalon; and the Valley Oak League's Oakdale and Sierra. Denair added its name to the list without the injured Musgrave, who sat out with a neck injury. 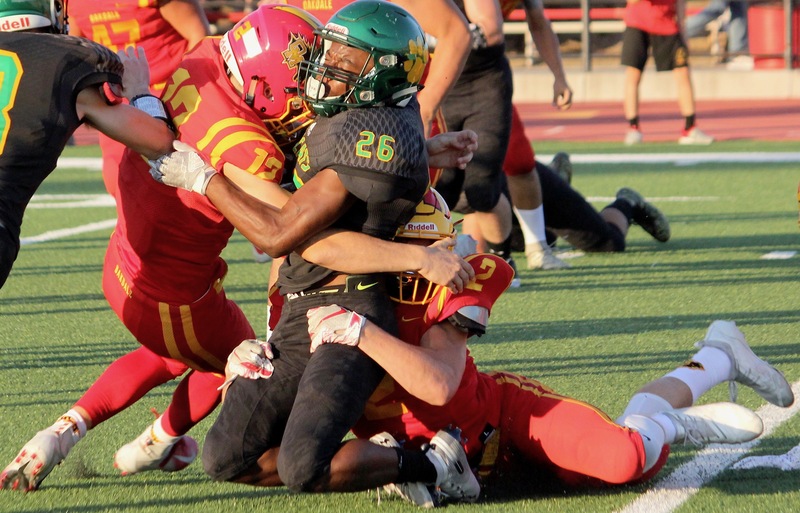 The Coyotes rallied around their fallen star, racking up more than 300 rushing yards en route to a running-clock victory over the Southern California champion. 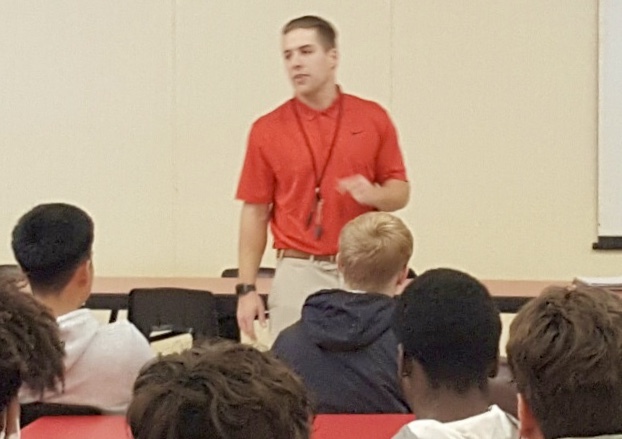 The Falcons featured the nation’s leading rusher, Joseph Todd. Though Todd rushed for a game-high 250 yards, he finished just one in the end zone. Denair scored the first 20 points and led 28-6 at the intermission. Winston stretched the lead to 34-6 with a 1-yard run in the third quarter. Pritchard punctuated a near-perfect performance with a 42-yard touchdown run on fourth down to start the fourth quarter.